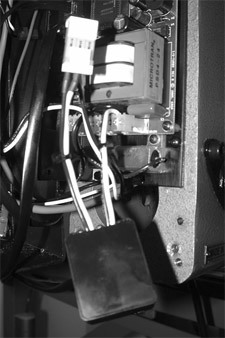 Replace the back cover. 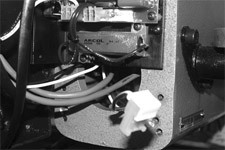 Push the surge protector and the motor cable connector into the cover as the picture shows. 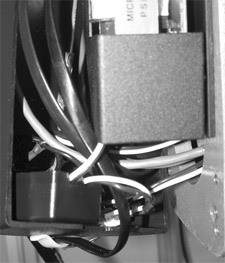 Arrange the phone cables inside the notches on the bottom and the left side before tightening the bolts.